If a poisonous or dangerous substance injured you on the job, you might have grounds to seek financial compensation. To find out, consult with a Boise construction accident toxic exposure lawyer. Were you exposed to a toxic substance at work that made you sick? If so, you could file a toxic tort lawsuit against the manufacturer. Even though your exposure occurred during your normal job duties, you still have legal protections that you can use to get the compensation you deserve. To do so, you’ll need help from a Boise construction accident toxic exposure lawyer from Craig Swapp & Associates. We represent two types of workers in toxic tort cases. The first are employees who were harmed immediately upon exposure. For example, if you were working with a material that burned or injured you on-site, you would have developed acute and obvious injury that required treatment. The other type of case is where the toxic exposure takes time to have an impact on your health, but when it does, the results are devastating. A perfect example of this is asbestos. At first, no one realized how toxic this substance is. By the time they discovered the dangers, it was too late and now many people have died from mesothelioma and asbestosis as a result. In both scenarios, you can sue with the help of a skilled attorney. The key is to hire one immediately after the accident or as soon as possible after discovering the injury or illness. Another possibility we will explore is if your injury was caused by faulty safety gear. Most employers require safety gear to be worn when working with or around toxic substances. If you did and were harmed anyway, your gear may have malfunctioned. You should hire an attorney and file a lawsuit as quickly as possible after being exposed to a harmful chemical or substance. Since there is a two-year statute of limitations in place, this is necessary. However, if you don’t discover the injury or illness for a while, you will need an attorney immediately upon being diagnosed. Once you discover your injuries, you can be compensated in two potential ways. First, you have the right to file a workers compensation claim and receive benefits, including a percentage of your lost wages. Additionally, you can call our office and hire a Boise construction accident toxic exposure lawyer to file a lawsuit on your behalf. The difference is that a lawsuit will not provide immediate compensation, but the amount you receive can be much larger than just partial wages and having your medical bills paid for. Exposure to toxic substances like asbestos can eventually lead to death, making it critical to not only receive compensation for the impact on your health today, but also in the future. We will work closely with your doctor to determine what that will be and then assess the financial cost of your future injuries. This ensures that you don’t settle for less than you deserve. We can go over the circumstances of your exposure and the extent of your injuries to determine if you have grounds for filing a lawsuit. If so, we can discuss the next steps in filing your toxic tort and what the process will be like. 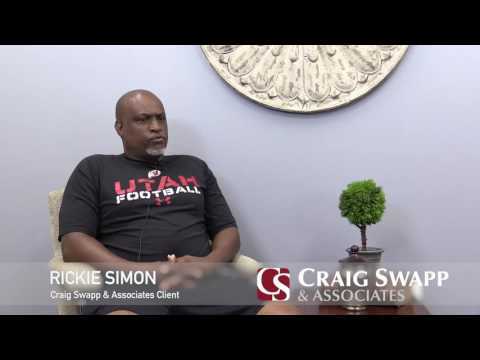 To learn more, complete the form below or call 1-800-404-9000 to speak with a lawyer at Craig Swapp & Associates.